On a daily basis we spend 85% of our time indoors and surprisingly during that time can breathe in the equivalent of up to two teaspoons of fine dust particles. Indoor air quality is important as fine dust particles which circulate within the air can pose a number of significant health risks for allergy sufferers and those living with respiratory diseases. danfloor’s Pure Air100 offers not only a unique Eco-friendly yarn that has been developed in part from recycled materials, but also has the distinctive ability to settle fine dust particles within the air into the fibres of the carpet tile. If the carpets are regularly vacuumed these particles and allergens are removed before causing any discomfort. 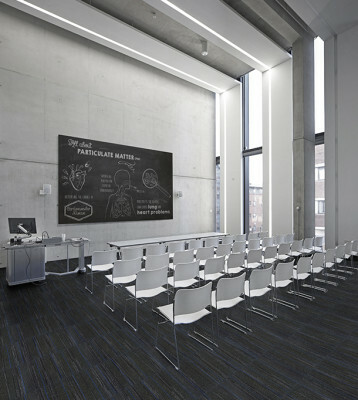 Pure Air100 carpet tiles are available in seven different designs and developed using the ECONYL® nylon yarn. 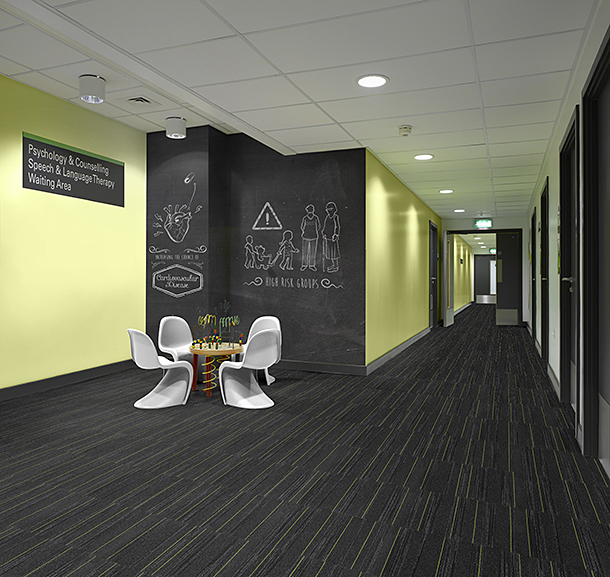 The carpet tiles can be combined to provide a visually appealing and creative textile flooring solution that has a focus on indoor air quality, comfort and functionality whilst still providing a sustainable flooring solution.